In this tutorial, we'll be designing a book cover to be displayed on a webpage. Instead of using an image to represent the cover of a book, using HTML and CSS alone will make your content more accessible and SEO-friendly. It's not that big of a difference, and you can't get as pixel-perfect of a design as you could in Photoshop. Personally, I like to spend my time in code, so designing in CSS is much more efficient. Plus, this is just an experiment, and hopefully we'll learn something. The key to this design is the ability to use multipe box-shadow and text-shadow properties. This refers to the outermost div element with the book-cover class. That's definitely a mouthful. Luckily it's easier to handle with SASS. Basically, the first part ($pages) goes from the top right outwards to create the 'page' imitation. This is created with a @for loop going from 0 through $pageLength. The farther back pages are supposed to be darker, so I used SASS's darken function. The farthest back page in this situation will be darkened 35%. The second part is multiple green shadows right behind them but shifted one pixel to the left. This imitates the back of the spine. The last shadow is just a big drop shadow to create some pop on the screen. Feel free to change the $pageLength variable to any size you want. 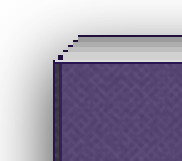 Change $pageGap to 2 to make the book's pages seem more leafy. You can make some huge looking books! 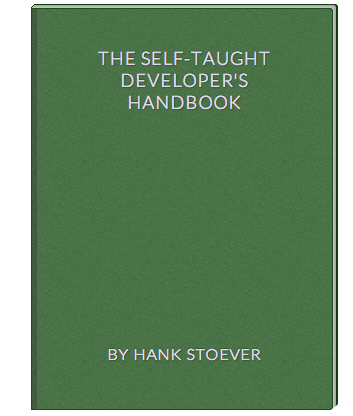 The inner .fade container is what lets us change the color of the book cover. Simple alter the $color variable, and the shadows and borders will be automatically changed. 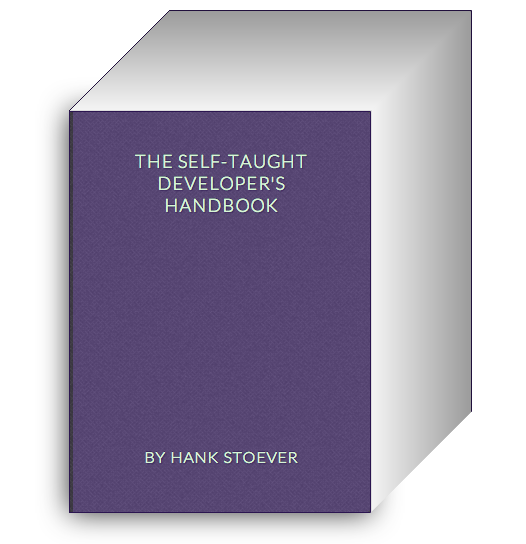 You can see that on my current product page for The Self-Taught Developer's Handbook I changed the color to purple. This div is shifted 5px to the right with an equally shifted left box-shadow that is slightly darker, which imitates the crease in the cover. A second layer of box-shadow is darker and half the width, to give depth to the crease. I hope you find this useful in the future if you need to promote your own book. The great thing about using SASS is that it's easily tweakable. I'm still constanstly changing the design I'm using. If you prefer to do your designing in Photoshop, Nathan Barry has an excellent tutorial.